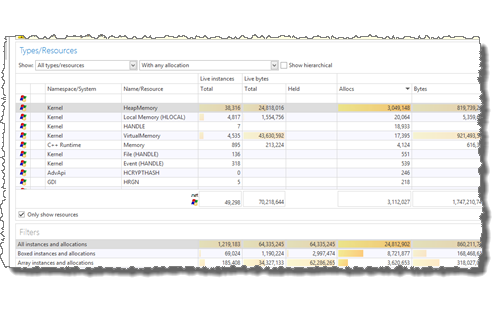 Easily identify memory leaks by collecting and comparing snapshots of .NET memory usage. 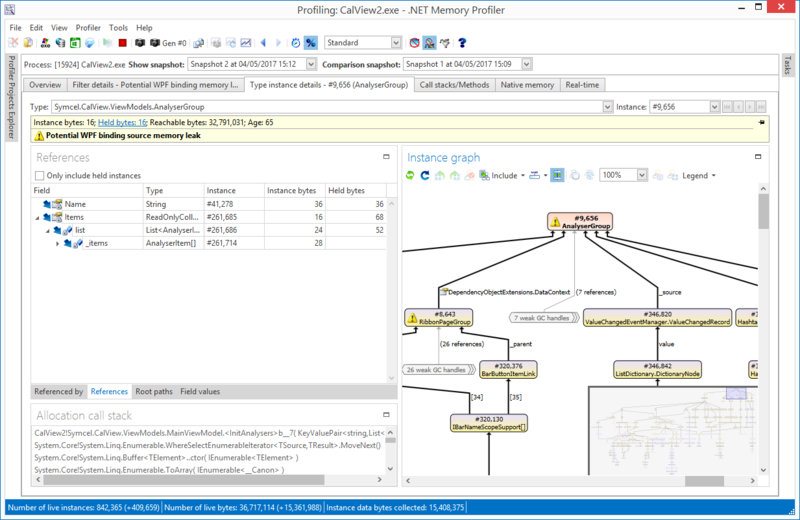 A profiling guide is available to give you tips on how to detect memory leaks. 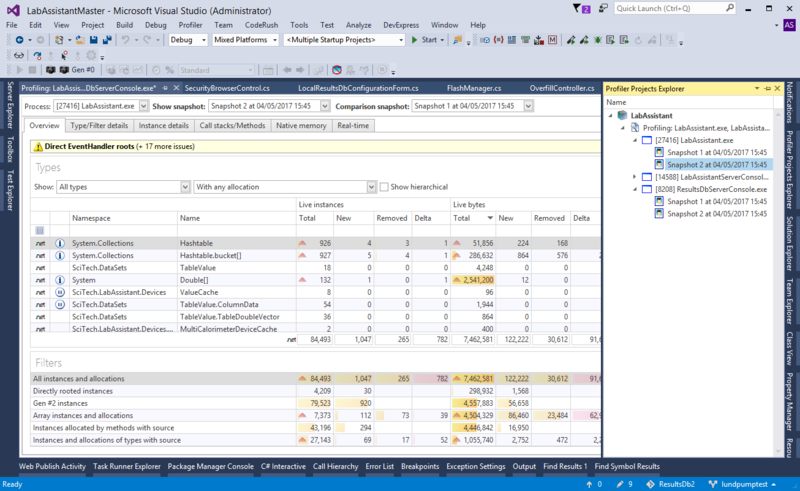 Native resources are used in a managed .NET program as well. 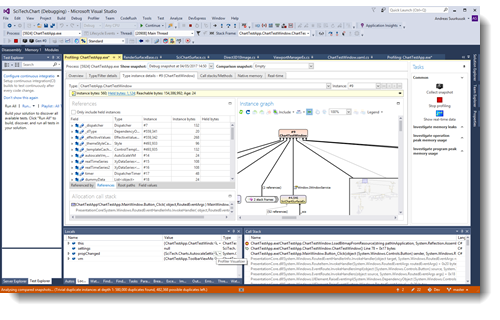 .NET Memory Profiler will help you make sure that there are no resource leaks and that resources are released as quickly as possible. 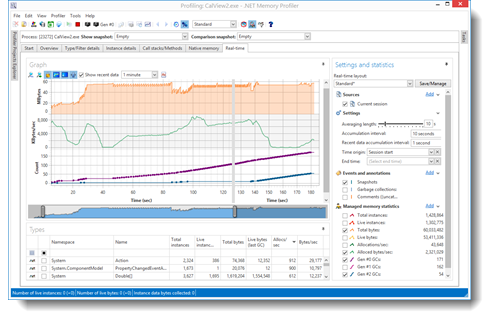 Excessive memory and resource usage, excessive allocations, and bad allocation patterns, will negatively affect the performance of your program. 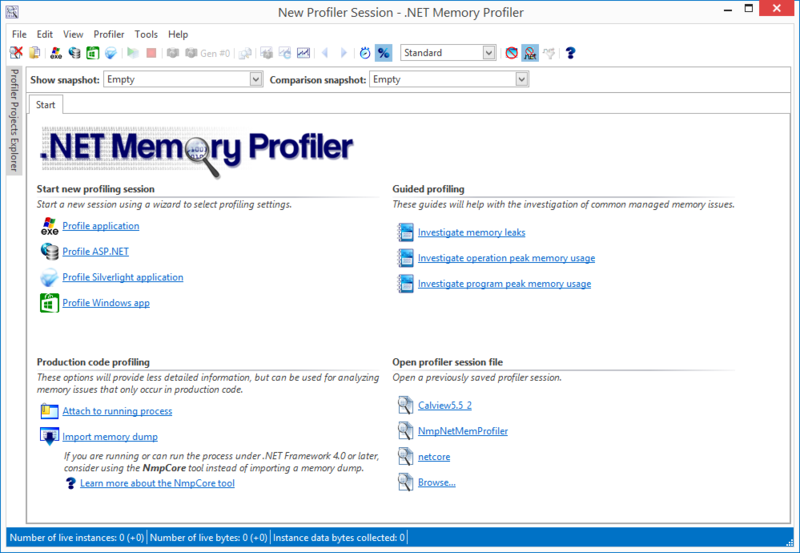 .NET Memory Profiler will provide you with the information you need to optimize memory and resource usage. 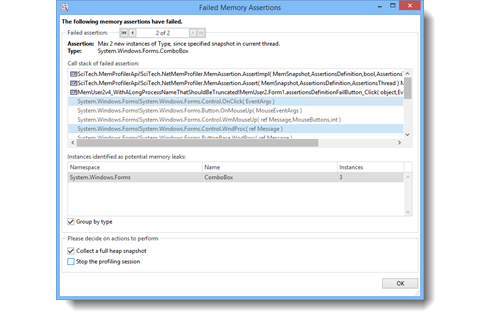 Have you ever tried debugging a production code memory issue using WinDbg and SOS? 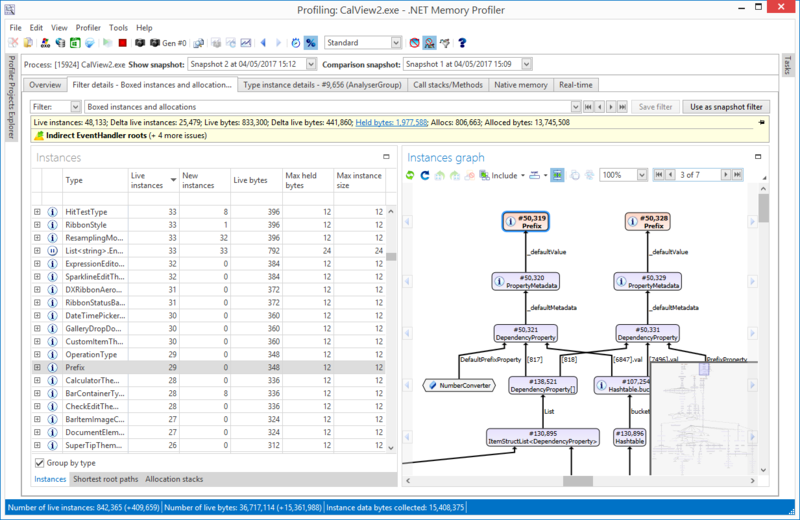 With the free NmpCore tool, what used to take hours can now be done in minutes. 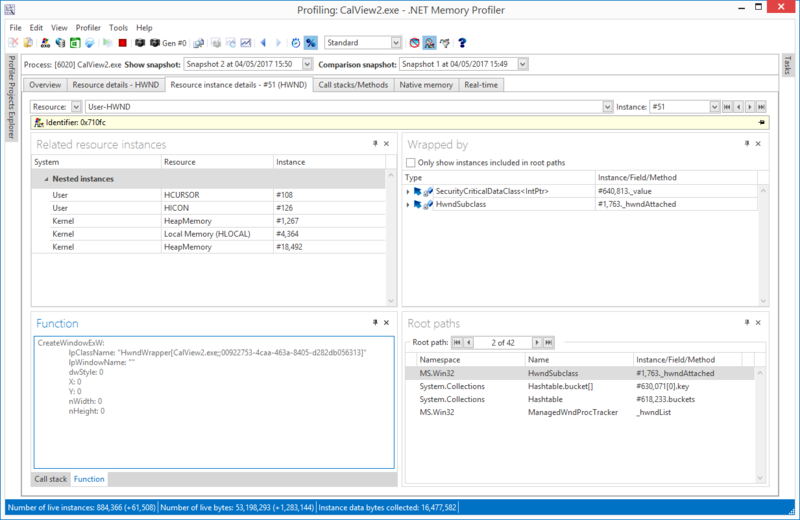 Use the .NET Memory Profiler API to automatically detect memory leaks and control the profiler from within the profiled program. 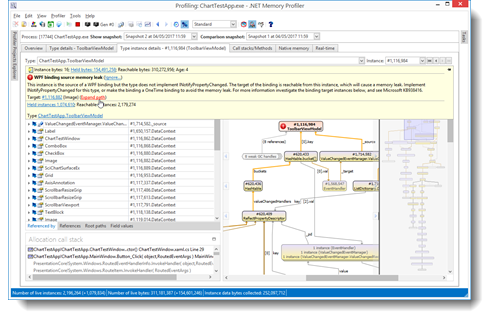 .NET Memory Profiler is fully integrated with Visual Studio. 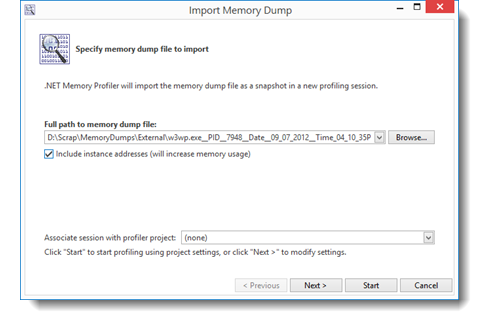 Investigate memory usage directly from the development enviroment and get detailed memory information while debugging. Your tool has saved me so much time and effort. I can’t live without it. 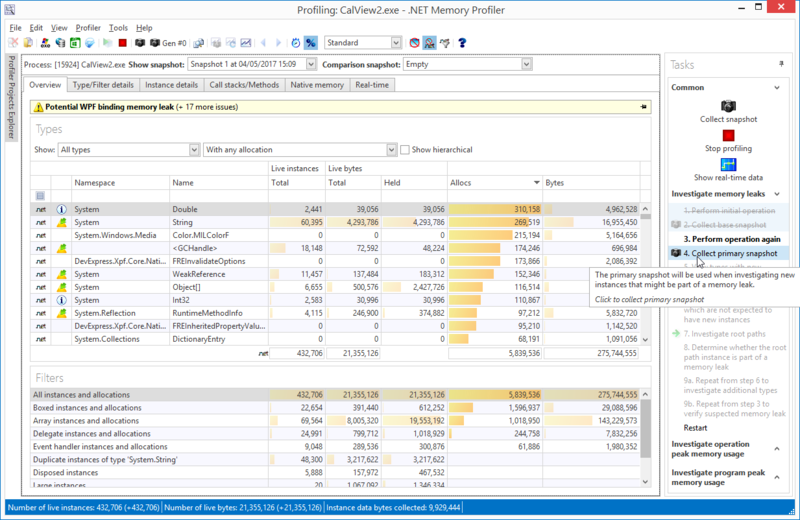 Doing .NET development without .NET Memory Profiler is just plain crazy!